Cloudy Eyes is a condition which is seen both in aquarium and pond fish, especially tropical species. In some scenarios it may not actually be a disease, but rather a symptom of another condition. Below is an overview of this condition, what causes it and how it can be treated and prevented. How Does Cloudy Eyes Manifest Itself? The good news about this condition is that it is relatively rare and usually not fatal when it does appear, so long as steps are taken to identify and resolve the issue that is causing it. 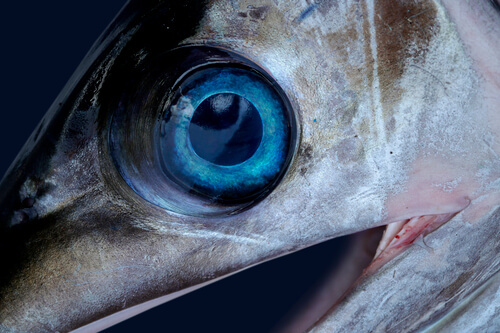 As the name implies, the primary symptom that is associated with this condition are the eyes of the fish suddenly turning white, which usually results in vision loss. Cloudy Eyes can have multiple causes, which can make it difficult to resolve. One must first discover the underlying cause before proper treatment can be rendered. When fatalities do occur, it is usually in a later stage and almost always comes from secondary fungal, parasitic or bacterial infections. As with many fish diseases, poor water quality is a common culprit. Pond water which has elevated levels of nitrites, nitrates or ammonia may cause the eyes of fish to become cloudy, as will high concentrations of chloramine or chlorine. However, experts state that water temperature which fluctuates frequently, pH shock, or excessive salinity may also contribute to the emergence of this affliction. How Can Cloudy Eyes Be Treated? The first step to curing cloudy eyes is to investigate the water. Check the temperature, pH, and presence of nitrites or ammonia. The TDS level should also be inspected. The ammonia level within pond water should be at zero. Don’t be fooled by water that is clear, this doesn’t mean that its quality is up to snuff. The best course of action is to change the water completely, but this should be done carefully, otherwise it could exacerbate the problem. Any chloramine or chlorine which is discovered should be eliminated entirely. This can be accomplished by pumping air into the water using a water pump or air stone, which will prompt the chlorine to evaporate at a higher rate. Chloramine however must be removed through the usage of a filtration unit which is heavy carbon. A common mistake which is made by pond owners is to use too much medication. Products like formalin, if used in excessive concentrations or combined with different products, might actually cause cloudy eyes or worsen it. Any medicine which is metal based, such as brands which use copper sulfate, should not be combined with water conditioners that eradicate heavy metals, as they increase the likelihood of a drug interaction which is deadly. Acid should never be directly added to water. Rather, the pH should be adjusted in another way, especially for those new to the process. Your job as a pond owner and fish caretaker is to enhance their immune system, and the best way to do this is by lowering their stress.